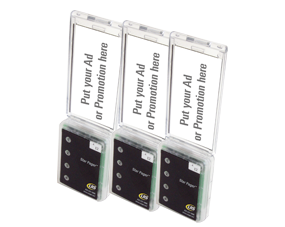 Communicate with staff or customers with these great paging systems- check them out. In today’s competitive spa and salon markets, customers demand the best treatments at an affordable price. 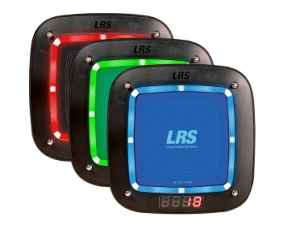 Long Range Systems offers three solutions to help these industries become more efficient in their daily operations. The goal of all our spa products has been to increase your revenue while decreasing your overhead and expenses. With our products, you spend less time running around and more time in front of customers where service is king. 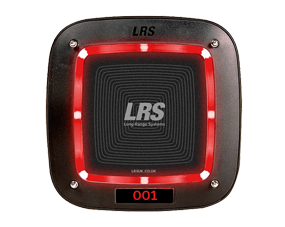 Retain more walk-in customers by allowing them to be notified by a pager. Give customers freedom while they wait. Customers are not confined to the lobby waiting area - they can now easily be reached with our Coaster Call, Adverteaser or their personal cell phone SMS. T7470 can message a mobile phone if customers leave the salon while waiting. The Butler II allows you to notify staff from each treatment room but our new Pronto is an excellent choice too. Each room can send five different messages to 5 different staff members (six for the pronto). Whether it’s notifying another staff member you need assistance or just notifying the front desk that you are free to take walk-ins, Butler II makes communication simple. 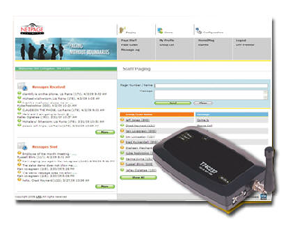 The Butler II or pronto also enables clients to notify staff when they are ready. 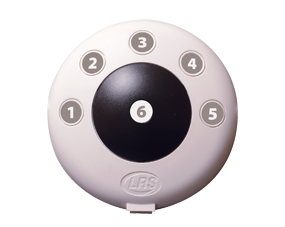 The 5 button Butler II includes a single 'dry contact' so that it can page when an external button is pressed such as a push button on unmanned reception. Netpage Unlimited gives you the ability to instantly and discreetly notify waiting busy staff throughout your facility from virtually any web browser. 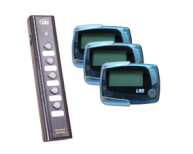 With Netpage Unlimited, you can contact staff with LRS staff pagers ,an SMS text to their cell phone, or an email. 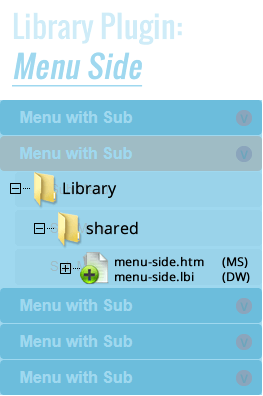 Netpage Unlimited is web-based and works from any networked PC or Mac.